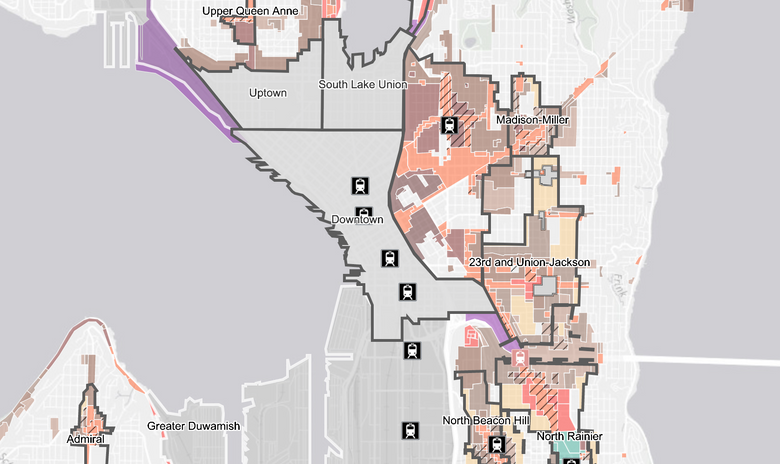 The plan would allow denser construction and taller buildings in 27 urban villages, from Lake City to Wallingford, Capitol Hill and Rainier Beach, and would expand the boundaries of 10 of those areas to connect development with transit. 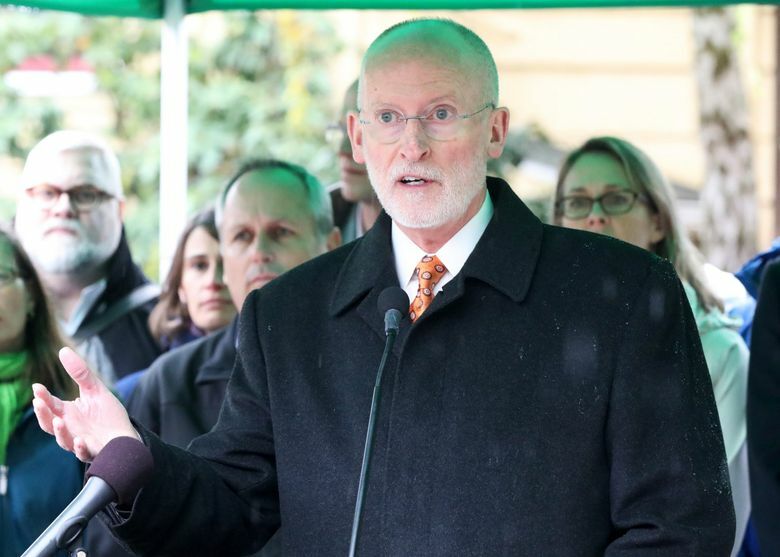 Under a sweeping plan unveiled Thursday by Mayor Tim Burgess, Seattle would encourage more growth in more than two dozen neighborhoods across the city while requiring developers to help the city add thousands of apartments affordable to households with low incomes. The plan, which officials have been working on since then-Mayor Ed Murray proposed it more than two years ago, would allow denser construction and taller buildings in 27 urban villages, from Lake City to Wallingford, Capitol Hill and Rainier Beach, and would expand the boundaries of 10 of those areas to connect development with transit. Seattle’s urban villages are neighborhood nodes designated since the 1990s to accommodate most of the city’s growth. The zoning changes would trigger requirements for developers to build low-income housing as part of their projects or pay fees to help the city create such housing elsewhere. Those requirements are in place in the University District, downtown and South Lake Union, at certain Central District intersections and in the Chinatown International District and Uptown. The City Council agreed to upzone each of those neighborhoods earlier this year. Changes to the 27 other neighborhoods would affect all blocks zoned for apartments and commercial buildings. Also affected would be blocks zoned for single-family houses within the urban villages or in areas where the urban villages would expand. Zoning would be changed on those blocks to allow more housing options, such as cottages, row homes and small apartment buildings. The vast majority of the city’s blocks now zoned for single-family houses would not be affected. Historic districts and certain shoreline areas also would not be affected. The zoning changes would vary in scale. In some cases, the city would allow high-rises on blocks now restricted to mid-rises. In other cases, seven-story buildings would be allowed, up from four stories. Elsewhere, the changes would be more subtle. The City Council will consider the plan next year while holding several public hearings. Rob Johnson, who chairs the council’s land-use committee and represents District 4, will take the lead. Jenny Durkan, elected mayor Tuesday, will be sworn in Nov. 28. Officials said they’re moving ahead with the plan now because an environmental review has been completed. Burgess said Durkan supports the plan and sees no need for delay. Under the new requirements, which officials call the Mandatory Housing Affordability program, developers must devote a certain percentage of their projects to rent-restricted and income-restricted apartments or pay equivalent fees. The city uses such fees to help nonprofits build low-income housing. For the neighborhoods in Thursday’s plan, the percentages would range from 5 percent to 11 percent. The fees would range from $5 to $32.75 per square foot. The goal is for the upzones and new requirements on developers to yield at least 6,000 low-income apartments over 10 years, Burgess said. Had the requirements been in effect for the last two years, Seattle might already have added as many as 2,000 such apartments, said Sam Assefa, the city’s head planner. Assefa said he expects the current construction boom to continue for at least another year or two. A family of four with an income of about $57,600 would qualify for a two-bedroom apartment created by the program and pay about $1,300 per month in rent, according to officials. An individual making about $40,000 would qualify for a one-bedroom apartment and pay about $1,000 per month. The city’s environmental review looked at two approaches – upzoning each neighborhood with the same intensity or upzoning them differently, to try to prevent displacement. 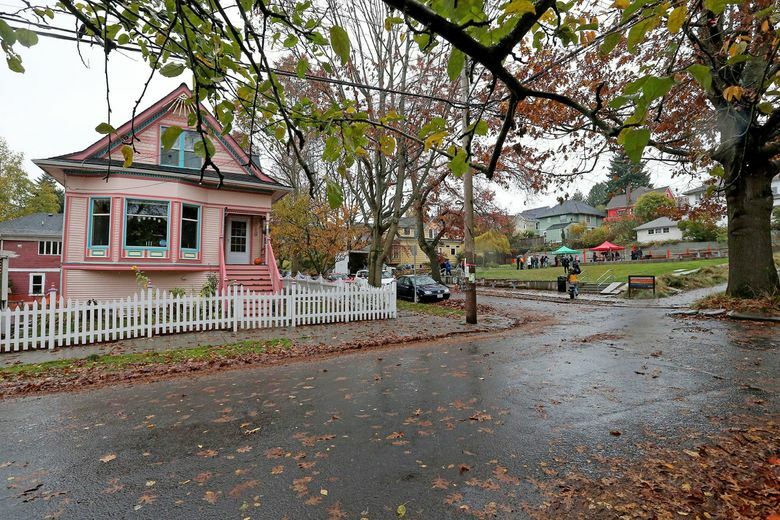 The second option called for larger zoning changes in well-off neighborhoods with residents unlikely to be displaced by development, such as Wallingford, and for smaller zoning changes in less-affluent neighborhoods with residents at greater risk of being displaced, such as Rainier Beach. The plan released Thursday is a compromise between the two approaches, officials said. They said they already have discussed the proposed changes with thousands of Seattle residents at meetings, at doors, online and over the phone.